Valentine’s Day – Miss Rita to the Rescue! I am a child of the 70’s and, as such, I have a weird attachment to cutesy wall decorations. Let me explain. Most of the time, we “celebrated” all of the major and minor holidays with cheap paper decorations taped to our door or windows and that was enough for us. Nowadays it seems everyone has to have full on art installations for every holiday…or, worse yet, hang nothing to celebrate. Guess that makes me “vintage” or “old school”. And, well, you can call me anything you like–as long as I get to hang my cutesy paper decorations of yesteryear! Today’s Cricut Access Challenge harkens back to my old-timey decorations and is quick, easy and adorable, because it uses Cricut’s “Print Then Cut” feature. Have you tried “Print Then Cut” yet? “Print Then Cut” is exactly what it sounds like–you print images from your printer and then you use your Cricut to cut it out precisely. It’s really simple to use and yields incredible results! And here’s the fun part–the original image doesn’t have to be a printable image, because you have the ability to make any Cricut image “printable” with one easy step. That’s right! ALL of Cricut’s images can be manipulated to make them ready to print on your home printer and cut as a single image. And it’s SO easy to do! For today’s project we are going to be using this adorable cartoon Cupid from the Seasonal Characters image set. This small image set also offers an Easter Bunny, Santa Claus, a Leprechaun and even Mother Earth and the good news is they will all work exactly like this Cupid does. Bonus! Once you’ve located the image and placed it on your canvas, you can size it to whatever size you want. For my example, I wanted something big enough to show up on a door, so I sized it to 9 inches high. Once you’ve adjusted the size, highlight the image. When it is highlighted, you can see there are seven layers to this image, all of which are set to Cut/Print, which means that each layer will print and cut separately. This is a useful function, but NOT what we want, so we need to meld all the layers into just one layer; we do this by using the Flatten tool, which is on the bottom right corner of your canvas. Then…from there it’s simple! Just print it, put it on your mat and cut it! So easy and fun and also sure to assuage your vintage upbringing! It’s been a while since I’ve posted. The beginning of the year seems to encourage me to cocoon more than usual. It’s not that I’m hibernating, because I tend to do a lot of inward thinking. And then, before I know it, I’m popping up like Puxatawny Phil on Groundhog Day! Only usually I don’t appear until after Valentine’s Day. My post-Valentine’s-Day appearance has usually been because, for a long time, I loved to hate the LOVE Day. Now…wait a minute. Before you jump to any conclusions let me say I am not some spurned sweetheart. It’s just that Valentine’s Day can be such an enormous letdown for so many people. In my younger days, I saw the faces of a sea of broken hearted ladies every time a coworker received roses at the office. I remember the twinge of sadness in people when lovers would recall their romantic dinners or weekend getaways. And, even if I had a partner, it broke my heart. As I got older, my perspective on V Day changed, of course, to recognizing the amazing waste of money the holiday came to represent. 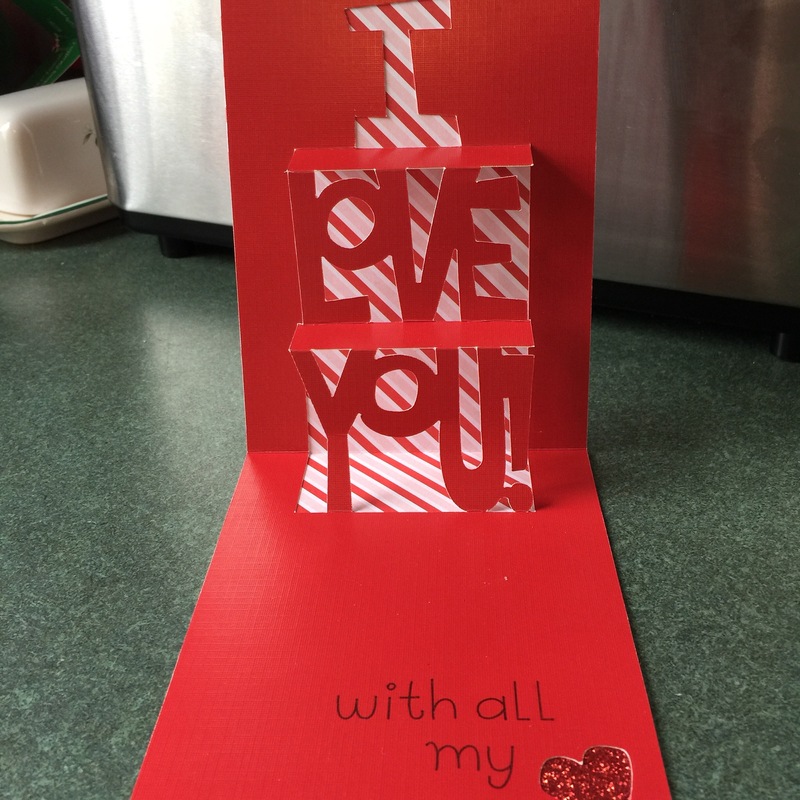 Flowers, jewelry, chocolates and ginormous, sappy cards sold to make up for something we should be doing every day: expressing our love toward one another. Why had we allowed ourselves to fall into this routine of mindless day-to-day life, devoid of love and devotion, only to break the bank one day a year to “show your love”? To me, this process is akin to an absent parent showering their children with things instead of spending time with them. It wasn’t until I lost someone I deeply loved that I realized EVERY day is an opportunity to express your love. And that realization has forever changed my viewpoint on the dreaded Valentine’s Day. Days spent without expressing ourselves are lost moments that can never be retrieved. I suppose some would call my perspective childish or flighty. It’s okay if they do. I’ll love them anyway. I’ll love those deserving my love and those who aren’t. I’ll love a stranger and my best friend. I’ll send only love out in the Universe, regardless of the fact I might not always get the same back. I can express my love by offering a smile, a helping hand, a kind word, a listening ear or a forgiving heart. It doesn’t have to be a grand gesture all the time. And, sometimes, loving means saying “no” or setting a limit, too. Consider my suggestion yourself and tell me, please, if it changes the way you view LOVE Day. I know it changed my heart. Much love to you all and Happy Valentine’s Day!